At Berry Patch, together we make a family. We consider ourselves a home away from home for children and their families. We encourage family participation within the classroom. We love to celebrate holidays with our families. We have an annual Thanksgiving Feast, Easter Egg Hunt, and Christmas party. We hold a Grandparents Breakfast every year. Our teachers love to play and interact with the children. They love to get messy with the children during art projects. They are experienced, caring individuals who love their jobs. They are invested in the success and development of each child. Teachers participate in hours of professional development every year! All of our staff are trained in First Aid, CPR, Blood Pathogens and the use of an Epipen. When looking for a school for your child, there are so many questions that need answers. We are here to answer those questions. Please do not hesitate to call! Terri has been committed to Early Childhood Education for over 30 years. She is a true advocate for the importance of developing the brain at an early age through a safe and nurturing environment and the implementation of a developmentally appropriate curriculum. She is NJ State Certified in both Preschool and Elementary Education. Terri believes that a positive self-image and the development of self-confidence provides the foundation for life-long learning and a love of school. Terri was born and raised in NYC and currently lives in Oldwick, NJ with her husband Carl, her daughter Sarah, her 3 dogs and 3 cats. Ms. Betsy has been with the Berry Patch for 10 years! She is the head teacher in the Butterfly classroom. 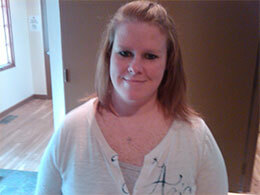 She is certified in first aid and CPR, and has her CDA (child development associate). She has been working with young children since 1998. Ms. Lisa has been the Head Teacher in the Busy Bee classroom for 6 years. She is a mother of two and a very proud and happy grandmother. She has worked in early childhood for 24 years- 12 years of which have been as head teacher. She has a CDA and is certified in CPR and first aid. Ms. Jackie is one of the assistant teachers in the Busy Bee classroom, and she has been with Berry Patch for 9 years! She has over 12 years of experience working with young children. She has a child of her own, Stephanie - and a grandson named Cole. Jackie lives in West Amwell with her cat, Precious. In her spare time, she enjoys reading, spending time with family, and vacationing on LBI. Ms. Lillian is one of our teacher assistants, and she mainly works in Strawberry and Busy Bee classrooms. She is a mother and grandmother, and has many years of experience working with young children. Ms. Mandie is the mother of two boys. She has a degree in Psychology and has experience in Special Education. She brings patience, caring and a good understanding of the developmental stages in infants and toddlers. She works on social and emotional growth with the goal of self-confidence and good self-esteem. Ms. Christin is the mother of a 2 year old daughter and comes to us with a Bachelor's Degree in Art Education. She has years of experience working with children of all ages and a clear understanding of child development. She is a patient and nurturing person with a very gentle demeanor and a real love of children. © 2011 Berry Patch Learning. All Rights Reserved.